Barnes and Noble at the College of Charleston is privileged to serve the College community as the Campus Bookstore. Our goal is to provide excellent customer service to support the academic endeavors of the students and faculty of the College. Barnes and Noble at the College of Charleston offers several shopping experiences including the brick and mortar store at 160 Calhoun Street, The Cougar Spirit Shop located in the TD Arena, College Corner at the corner of King Street and George Street, or the virtual store on the web. A percentage of every purchase supports student scholarships, which invest back into the College community. 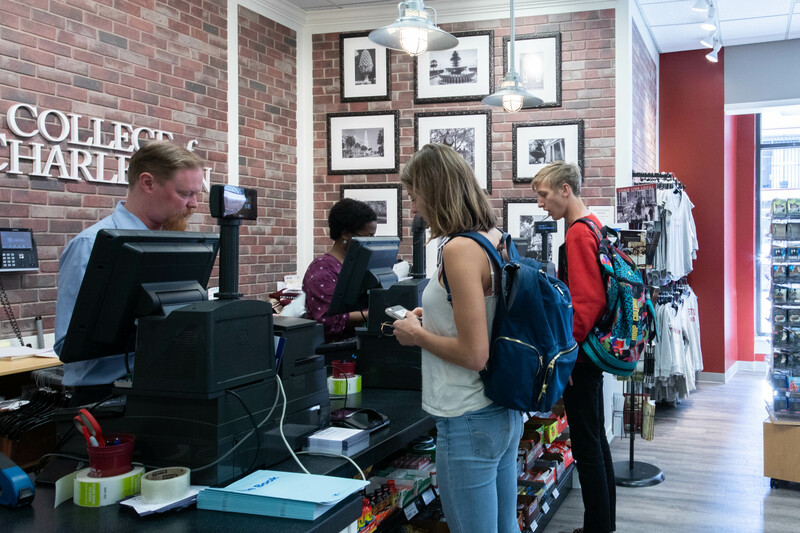 Whether you are looking for College of Charleston clothing or memorabilia, course materials or school supplies, or just a book that has been on your reading list, Barnes and Noble at the College of Charleston is the place to go. Find more information and browse our store at Barnes and Noble at the College of Charleston.